This is a recreated movie poster for the 90’s film, “Jumanji.”The movie revolves around an old board game that comes to life, spawning all kinds of jungle animals, chaos, and a very scruffy Robin Williams. The poster is screen printed with hand rendered type to create a chaotic feel, and to also resemble the board game spaces. 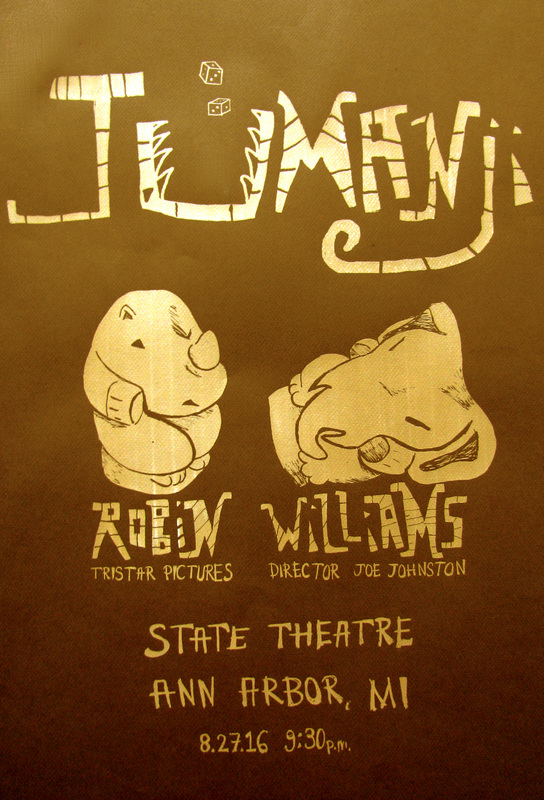 The fallen over elephant piece is symbolic of Robin Williams’ character, who was stuck inside the game for decades.